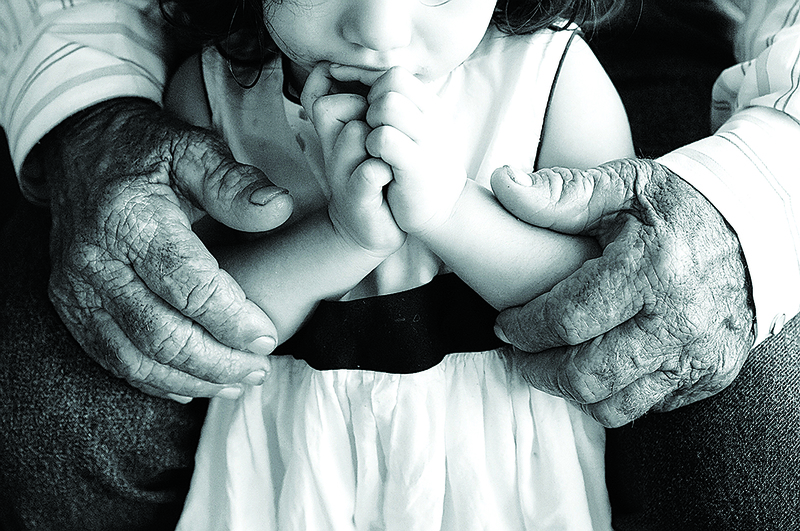 VERONICA BERNAL, a CONFIDENCE workshop graduate, captured a gorgeous moment between her grandpa and daughter. 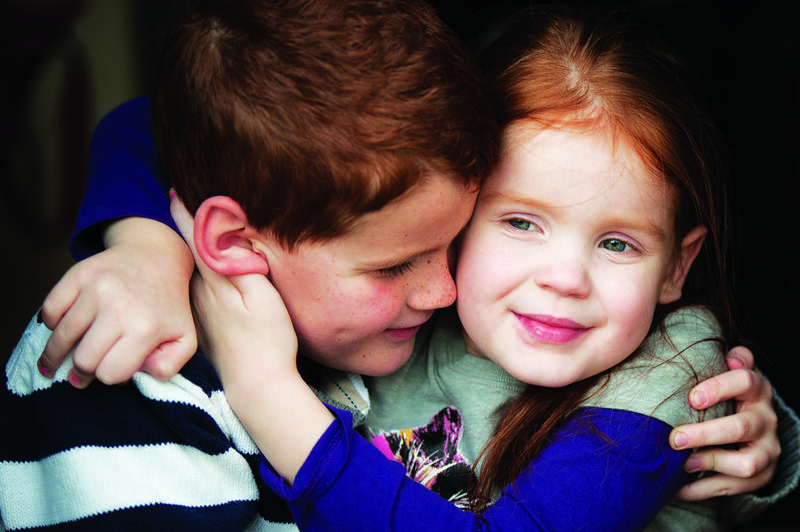 Window light creates a soft diffused look that adds to the story of gentleness and love. Do you ever have a sinking feeling that all of your photos are starting to look the same? You’ve taken your clients to the same park two dozen times. You’ve set your families up in the same poses again and again. The creativity that once seemed endless when you first bought your camera has started to run dry. Don’t be discouraged—these aren’t signs of your creativity running out. Instead, these are signs that you’re ready for more growth in your photography. Instead of heading to the great outdoors for photos, try capturing everyday life with beautiful light in the home. Shooting indoors can feel intimidating. Past photo results of blurry subjects and thoughts of needing to buy studio lighting or special equipment may bombard you. 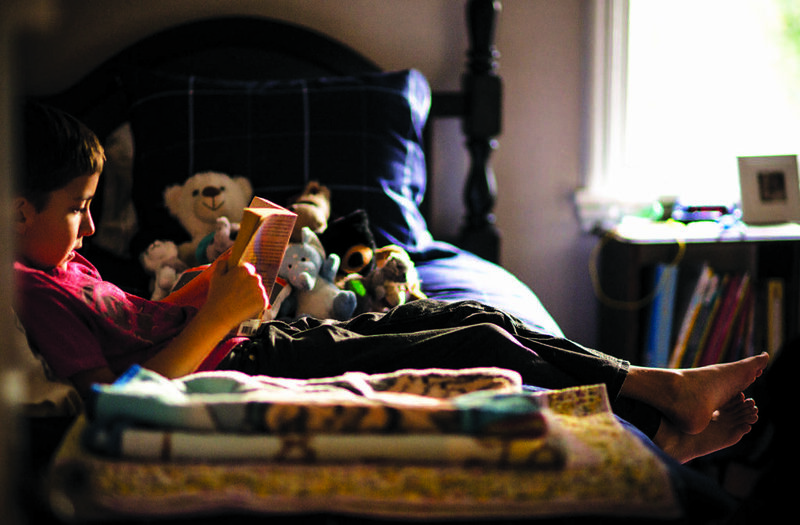 But if you know how to find great light in the home and are willing to take your camera off Auto mode, there’s a world of endless stories waiting to be captured. AMY RHODES, the CONFIDENCE workshop teacher in Nevada, illustrates why the backdoor is her favorite spot for taking pictures in her home. You can see how opening the door casts a beautiful, soft light on the children’s faces, but doesn’t illuminate the background. Amazing light is in your home—experiment with these different places to find yours. Finding the best light is often the difference between good and bad photos. Many times, we get frustrated with our photos because our family is blurred. In most cases, this is due to not having enough light. If you’re passionate about photography, you want to develop a passion for observing light: noticing the degree of light, how light changes throughout the day, when it spills softly into a room from the window versus when it’s almost too bright and harsh. When we first start taking photos, we often assume the best light is outside. But there are also great spots of light within your home that will give you beautiful results! Be aware of these different spots, and subtly encourage your family to be in them. Or, beforehand, you can set up an activity like a board game or toys in these areas. Turn off your auto flash, and have fun experimenting with these seven everyday spots in your home for great light. To get you started, here are “7 Spots in Your Home for Great Light,” taken from my latest best-selling book, Your Family in Pictures. Window light creates some of the most flattering, beautiful soft lighting for photos. Notice the degree of light by looking at the floor. Before setting your family next to the window, take note of how bright the light is right under the window and how far the light stretches before the light’s intensity tapers off. Your family doesn’t have to necessarily be right under the window, but rather at the distance where the light becomes soft versus harsh. Be aware of the light in your home. Which rooms get the best light at different times of day? Set yourself up for success by making note of when great light is available. I get crazily excited by sheer curtains! They can be the best backdrop to a photo. Their sheer material softens harsh window light, giving an almost softbox look and feel without you having to invest in studio equipment! And sheer curtains are super-portable if you want to carry one in your camera bag for unexpected opportunities. If you want your family photo to have the feel of everyone being inside, but you need more light, have everyone stand or sit in an open doorway. The outside light will illuminate their faces while keeping the background dark. The old, tried-and-true advice for writing is a powerful tool for photography too: Less is more. When shooting details like hands, zoom in or move your body so close that there’s nothing else in the frame except for that detail. If the background isn’t adding to the overall story, there’s no reason to have it in the photo. This may feel awkward if you aren’t used to it, but it’s a wonderful creative exercise to ask yourself, “How much tighter can I get? What does ‘less is more’ look like for the story I’m capturing?” The clearer the photo’s story, the more powerful it is. By turning off your flash and using a higher ISO, lamp light can bring a warm look to your photo’s story. The key is to turn off all of the other lights in the room so that your single lamp is the only light source. This will make the lamp’s light much more dramatic and warm in tone versus being diluted by overhead lighting or other lamps. Who would ever guess that the bathtub would be a great place for finding light? But I love doing part of my photo shoots in bathtubs! If near a window, the white, tile and enamel surfaces act as a reflector—bouncing gorgeous window light everywhere! On cloudy days, have your family sit next to sliding glass doors or French doors for even more light than a single window can give. If you want an even light on all their faces, have them face the sliding glass doors. If you want a partly shadowed light on their faces for depth, have them sit with their sides to the sliding glass doors. Black-and-white can come in handy when you want all the attention drawn to the emotion and facial expressions rather than to the items in the background. For this photo, even though I blurred the bookshelves in the background, they were still distracting from the facial expressions when the photo was in color. But black-and-white made all those distractions go away. 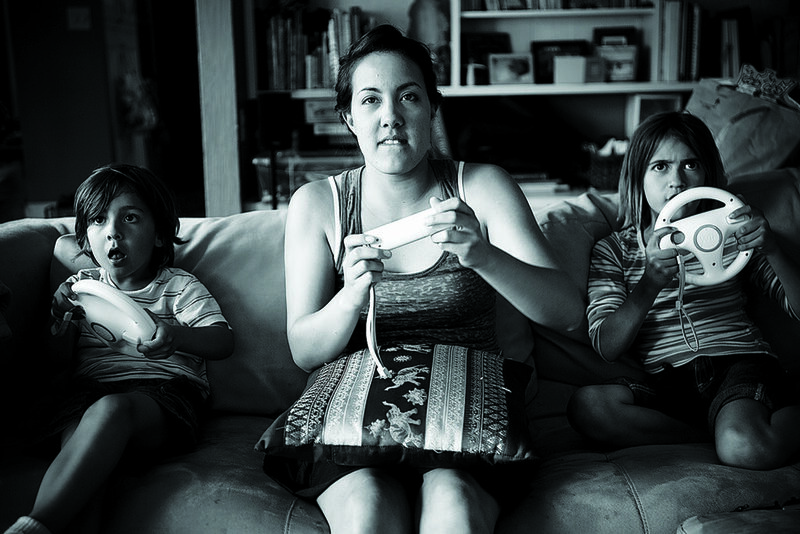 What could be more a part of your everyday family life than video games? Whether we like it or not, for most of us, it’s the truth. The upside is how much fun the adults have playing with the kids! One of the kids’ favorite things to do during family gatherings is challenge the aunts, uncles, cousins—even grandma—to a racing game or dance-off. The facial expressions that happen are hilarious, and since everyone is so focused on winning, no one will notice you sitting right in front of them to take the photo. WHEN: Any time family is gathered together and different generations are going against one another. Or, a time of day when your window light is bright and the kids are playing video games. PREP: Encourage the adults to sit or stand in between the kids. This helps balance differences in height and size. FOR POINT-AND-SHOOT USERS: Turn off your flash. Set your camera to Portrait mode to ensure a softer background and sharper focus on your subjects. Choose Continuous shooting or Burst mode to catch as many facial expressions as possible. FOR DSLR USERS: Turn off your flash. Set your camera to Aperture Priority mode, and pick the lowest ƒ-stop possible to allow in the most light. You may need to raise your ISO if your photos are picking up motion blur from a shutter speed that’s too slow. The shutter speed used for this photo (1/60) is too slow for my comfort because sudden movement in my subjects may cause blur. A safer shutter speed for subtle movements is 1/125, unless your camera or lens has an image stabilizer feature that you can use to shoot even slower—like I did in this photo. Set your camera to Continuous Shooting mode or Burst mode to capture every funny facial expression you see. COMPOSE: A horizontal frame worked well for this photo because it allowed for all three of us to be evenly positioned within the frame. But if your family is standing and doing a dance-off, a vertical frame may make better sense. CAPTURE: Focus on the family member in the center of the frame. If they’re all sitting on the couch, they will most likely be within the same focus plane. But our eye looks to the person who’s in the center and closest to us, so that’s a good place to lock your focus. ME RA KOH, the Photo Mom and Disney Junior Channel Host, is the author of Your Family in Pictures, the latest in her best-selling series. She teaches her CONFIDENCE photography workshops for women around the country and is honored to be a Sony Artisan of Imagery. Find her at www.merakoh.com.